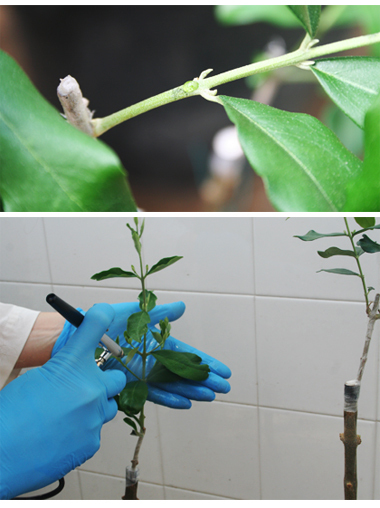 After the preliminary tests carried out in vitro to evaluate the efficacy of different antimicrobial peptides to inhibit the growth of Xylella fastidiosa, experiments have been now started on infected olive plants. University of Bari and CNR-IPSP to set experiments under controlled conditions on infected olives and other plants. Diagnostic tests and isolations will follow in the upcoming months to assess the effectiveness of this first round of applications.